THE injury jinx struck again as Devon went to their top-of-the table clash with Hampshire without leg-spinner Josh Farley, who was injured playing for his club, Kentisbeare, the day before. Farley joined batter Ben Beaumont on the sidelines, with a similar wrist injury. The good news was, neither had sustained a fracture, and should be available for the game against Berkshire at Seaton on Sunday (July 1, 11.30am). It looked a good wicket at the East Woodhay, and a look through scorebooks showed at least 220 was needed batting first. Winning the toss Joe Du’Gay had little hesitation in batting. Taylor Ingham-Hill and Eddie Smout Cooper put on 35 for the first wicket in 10 overs, before Ingham-Hill was caught behind off a loose shot. 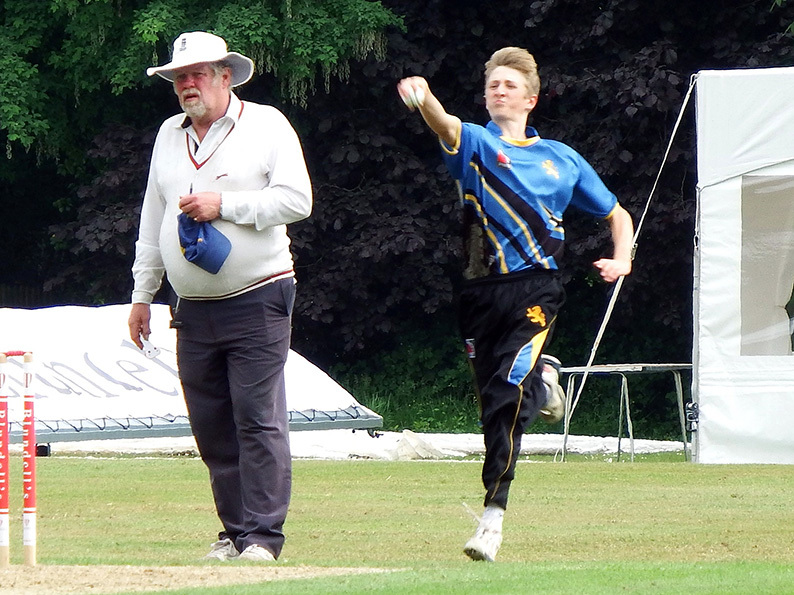 This brought Jack Ford to the crease to face the spin bowling of the Hampshire side. He went without scoring and the next 26 overs of spin proved pivotal in the game. Off the 156 balls of spin bowled, 105 were dot balls. Surviving opener Smout Cooper was dismissed for 37 in the 32nd over. Du’Gay was still there, and with 18 overs to go the side were on 108. With seven wickets still left a score of 200 plus was still within reach. Unfortunately, no one could disrupt the spinners, or stay with Du’Gay. When he was eventually out for a fine 76 in the 47th over, the score was only 165 and Hamilton (5), Reynolds (5), Tyson (2) and Hurst (6) had preceded him back to the pavilion. Late-order scurrying from Sonny Baker (9) and Adam Small (9no) saw a final total of 187-9 posted. This was well below par and it would take an exceptional performance in the field to win the game, against a strong batting side. Hampshire had a similar start to Devon, losing their first wicket in the 11th over with 32 on the board. They then displayed maturity in hitting anything off line from the Devon spin attack, getting the field back, and then milking the runs. Twenty-one overs of Devon flight and guile went for 91 runs, effectively closing out the game. Devon’s only later success can from Dylan Hurst whose medium pace accounted for three batters. He finished with 3-21 from his five overs. Hampshire got over the line with all but fiev overs to spare and six wickets in hand. As the Hampshire coach observed: “At this age it is often the side whose batters play spin best that win games.” This game was a classic example of that maxim.